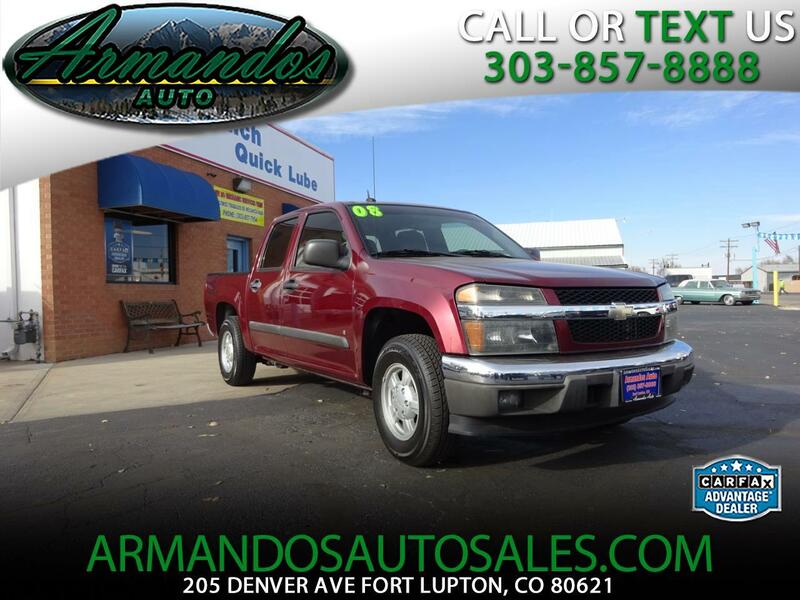 Our 2008 Colorado LT Crew Cab rides smoothly and feels refined. This Colorado LT features a roomy back seat that's surprisingly comfortable and not bolt-upright. Yet it easily fits into tight parking spaces, something that can't be said of full-size pickups. But don't get us wrong: Our Colorado isn't a car with a bed. In fact, it provides all the trucking capacity driver just like you will ever use. Check out our pictures and you'll notice the deluxe cloth seating and long list of features! With a roomy interior that's not cramped on the inside, and enough power capable of handling a respectable load or pulling a lightweight trailer, our Colorado is a good choice. Load three dirt bikes on a trailer, and assorted gear in the bed, and three bikers and a couple of hangers-on can head to the track. Or take the kids to soccer practice and bring home a dozen bags of mulch. No matter what you're needs are, this Colorado is here to serve you! Print this page and call us Now... We Know You Will Enjoy Your Test Drive Towards Ownership!